This entry was posted on April 18, 2010 at 11:21 pm and is filed under photo of the week. You can follow any responses to this entry through the RSS 2.0 feed. You can leave a response, or trackback from your own site. 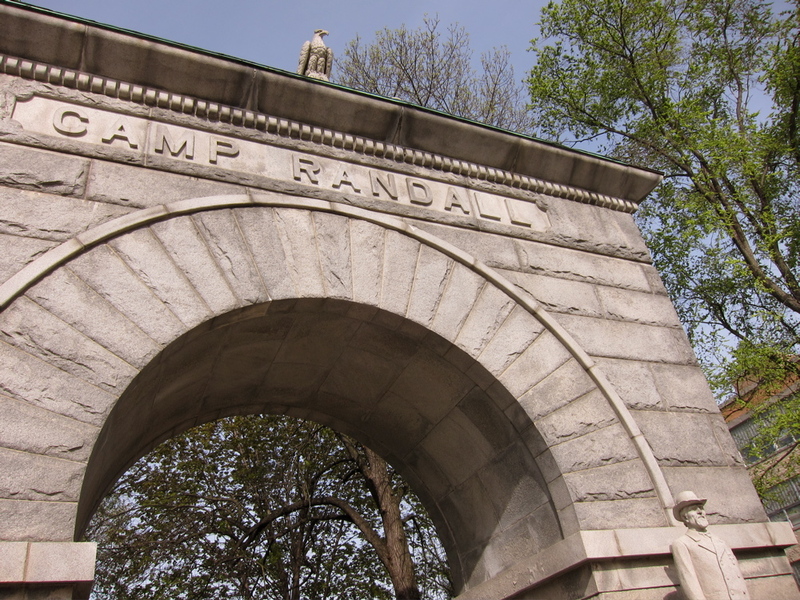 The name of the eagle atop the Camp Randall Memorial Arch is “Old Abe”. He was the mascot of the 8th Wisconsin infantry unity. Old Abe, mascot of the 8th Wisconsin Regiment! The bird is Old Abe, the Wisconsin Civil War mascot. I am fascinated by the fact that Wikipedia (and a minority of sources) say the bird was a female. Do you know where/how that could be substantiated? I didn’t have any luck.